We provide legal representation for all types of Kentucky Businesses, Insurance Companies & Bankruptcy Trustees. With over 50 years of experience, the Bowling Green commercial litigation attorneys of Kerrick Bachert, PSC provide representation that clients can trust. KB’s attorneys handle a wide-range of litigation for Kentucky businesses. Our experience in litigation includes representation of small or large businesses, insurance companies and bankruptcy trustees. We have been hired to represent lawyers outside of our firm to represent them in cases ranging from disputes associated with business transactions and property easement disagreements to allegations of noncompliance with the Fair Debt Collection Practices Act. KB has experience in state and federal courts throughout the Commonwealth of Kentucky, in administrative proceedings, arbitrations and mediations. Kerrick Bachert, PSC attorneys also work on a wide array of business transactions representing manufacturers, developers, and other institutional entities in various commercial settings, in addition to our banking practice. Our clients sell products and deal with property across the US and throughout the world and we provide solid guidance and clear communication when drafting contracts and other legal documents to help them accomplish their goals. When disputes arise in these dealings, KB zealously works with their clients to reach a fair resolution, including encouraging and participating in several mediations—but sometimes that simply is not possible. 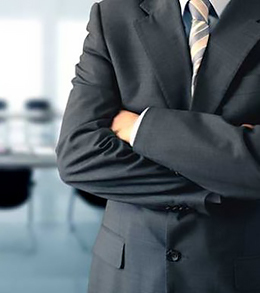 When no reasonable solution can be achieved, our attorneys bring years of experience to the courtroom and have successfully litigated numerous commercial disputes, ranging from shareholder actions, supply contracts, leases, franchise disputes and non-compete agreements. The dedicated efforts of our attorneys create business opportunities from business disputes. For help with Corporate Litigation, please contact Scott Bachert or Kyle Bumgarner. Very professional, top-notch attorneys! Good people. I have had work done at this firm by Stephanie McGhee Shacklette and Joe Morel and each did a great job. I thoroughly trust each of these individuals. Thank you for your excellent professional help!